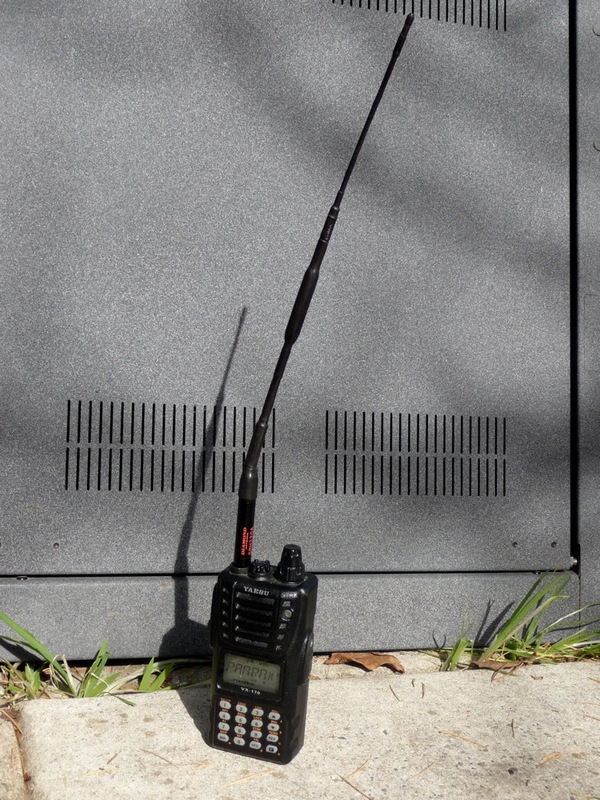 my EDC radio – and my only amateur band transceiver, in fact – is a Yaesu VX-170 topped with a Diamond SRH-320A antenna. this radio was a gift from my late Elmer, WA6UBE (“Elma”, “Elmette”? ), and came with the Diamond antenna. as you can see, it’s a really big antenna, but it performs well in urban areas (and i don’t have the original duck). it pulled a fairly line-of-sight 5W 26-mile run to a repeater at S3-4 so, hey, not too shabby.